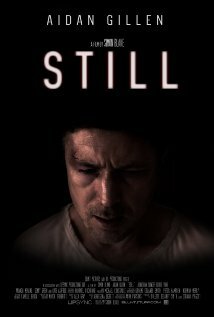 Movie Review: “Still”, Simon Blake’s debut as writer-director, is a drama in the guise of thriller that didn’t succeed neither as a piece of storytelling nor in the way it was approached and executed. The story, set in North London, revolves around Tom (Aidan Gillen), a photographer whose life spanned into alcohol and drugs after the death of his teen son in a hit-and-run accident. Tom tries to maintain a good relationship with his ex-wife Rachel, with whom he occasionally meets to visit their son’s grave. However, she doesn’t seem so lost or consumed by guilt as he is. Even depressive, he’s making an effort to put his life in order, relying on his new dynamic girlfriend, Christina, and on his long-time best friend, Ed, a journalist that starts investigating a case related to the murder of a bullied kid. Coincidently, when assigned for a school’s photoshoot, Tom becomes a great supporter of Jimmy, the brother of the kid who died, also a victim of bullying. If this coincidence wasn’t enough, he starts to be provoked and threatened by the same group of teen kids who keep spreading the chaos on the streets and at school, after he has accidentally collided with one of them. Fear dominates the man just until his girlfriend is raped and Jimmy is violently beaten up. From then on, the inebriate photographer will formulate his revenge that will push him into the darkness of an inescapable alley. Depressively inauspicious, “Still” nurtures a couple of good ideas at its core, which were never developed to reach favorable outcomes. It moves like a TV movie and its plot is excessively fortuitous. If only Mr. Blake had ripen his ideas and then set up a completely different atmosphere, maybe the film wouldn’t appear so much as a rudimentary draft. Consequently, don’t bother trying to look for thrilling or arresting moments.